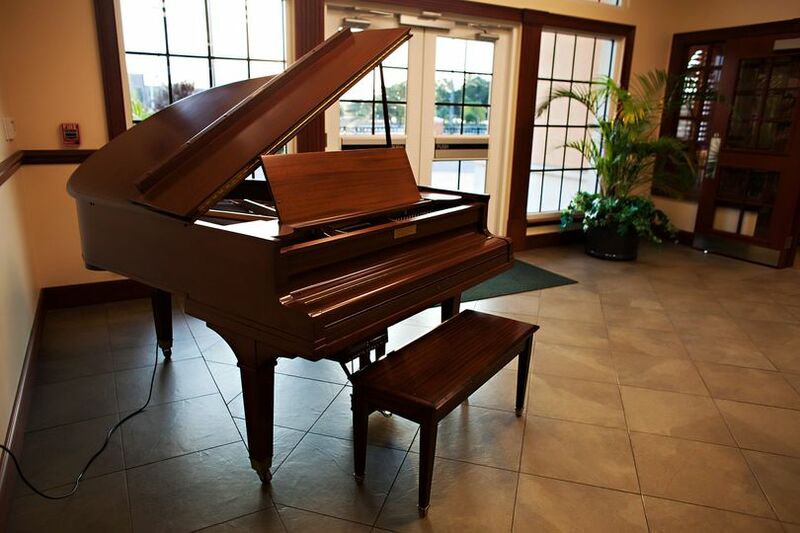 The Chester H. Ferguson Law Center is an ideal venue for a wedding ceremony, reception, special parties and celebrations, corporate, mediation, arbitration and many other types of meetings and events. We are conveniently located in downtown Tampa, FL. We provide free parking and all AV is included in rental. Our pricing is highly competitive and costumer satisfaction is our top priority. We offer nine meeting rooms of various sizes and can accomodate groups of two to one hundred fifty. 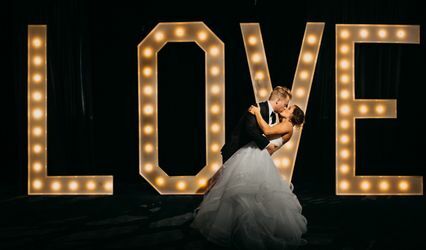 Wedding receptions are limited to 120 - 130 people if a dance floor is added. Our banquet hall "The Cohen Hall" is 2599 sq. ft. with a traditional yet modern design accented by warm wood tones combined with modern lighting and state of the art AV if needed. This hall can be divided in half by an air wall. The Yerrid Conference Center can seat up to 33 comfortably in a classroom setting ideal for workshops, training sessions and seminars. This space can easily be converted to a small banquet area. 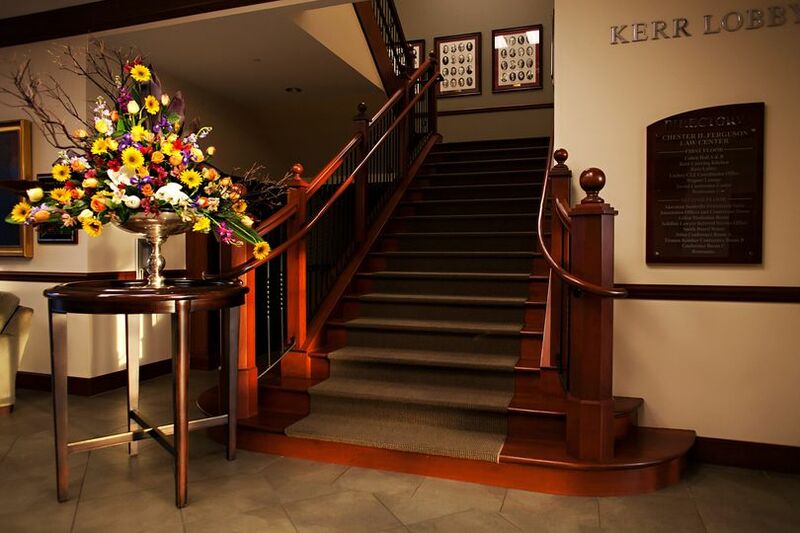 The Kerr Lobby has been used on many occasions to host the wedding ceremony as well as corporate receptions and parties. The Wagner Lounge is a traditional lounge with a bar and pub seating for about 25 and is a great space for hosting an informal gathering such as a happy hour. Ascending the formal stairway to the second floor you will find our corporate meeting space. The Smith Boardroom is a traditional boardroom that seats 22 people. 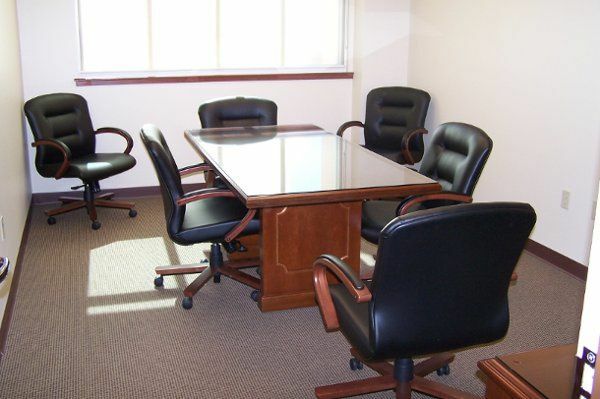 The Gillen Mediation Room is a smaller version of our boardroom that seats 10 people comfortably. The Trenam room seats 6 - 8 and the Stiles rooms is an office space that seats 4 comfortably. AV is avaiable in all rooms, the Smith and Gillen rooms have large plasma screen tv's for presentations. WiFi is available in all areas of our building. Please call 813-221-7777 or email terri@hillsbar.com or laurie@hillsbar.com for pricing, special pricing for non-profits and room groupings. The Kerr Lobby draped for a wedding ceremony. Best venue and an incredible value! It was very beautiful, even without the added decor! The staff was friendly and very accommodating. They executed our vision perfectly! Many thanks to Lori and Terry! Are you currently an active member of the Hillsborough County Bar Association? 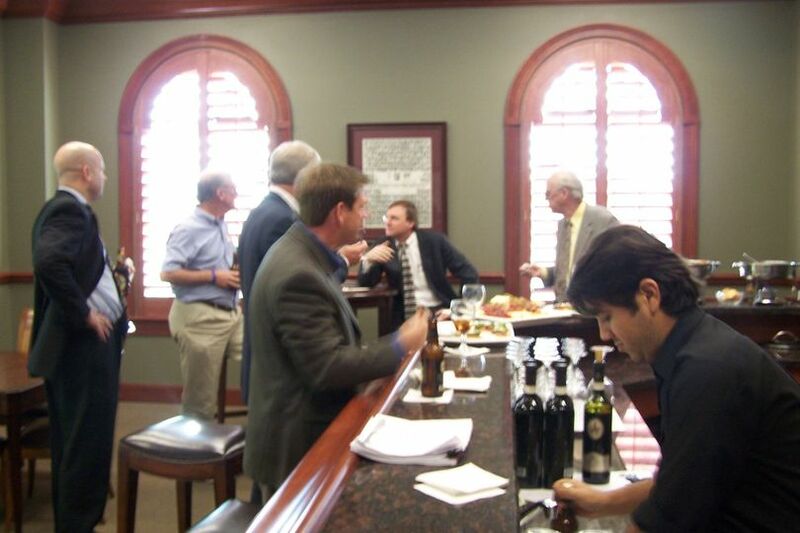 If so be sure to ask for your Member Discount when booking event space at The Chester Ferguson Law Center. Are you or your fiance active military? Ask about our 10% active duty military wedding discount. 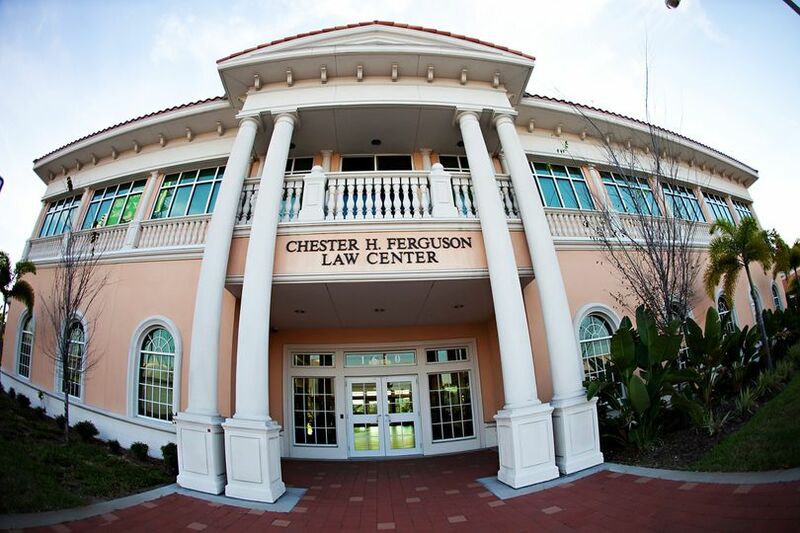 We discovered the brand new Ferguson Law Center on the campus of Stetson Law School in Downtown Tampa, via a client who had booked their wedding there for March of 2009. 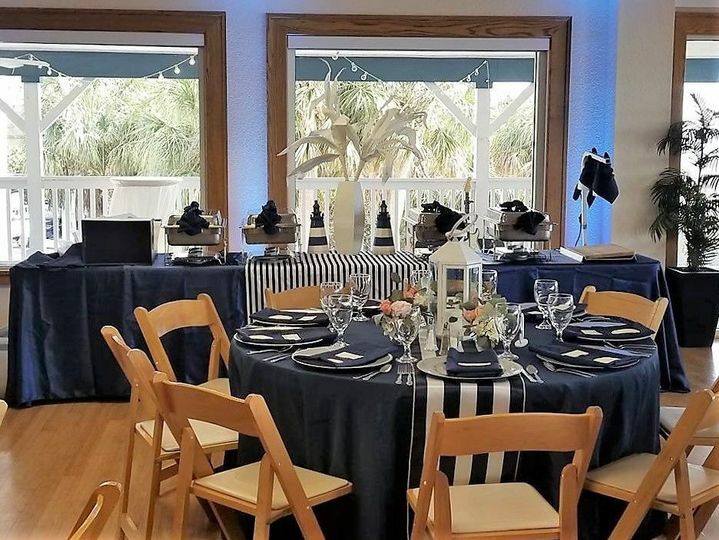 Although the Cohen Ballroom stays busy during the week for Hillsborough Bar Association events, (the association operates the building), it is virtually a HIDDEN TREASURE for couples planning an elegant wedding and reception for up to 150 guests. 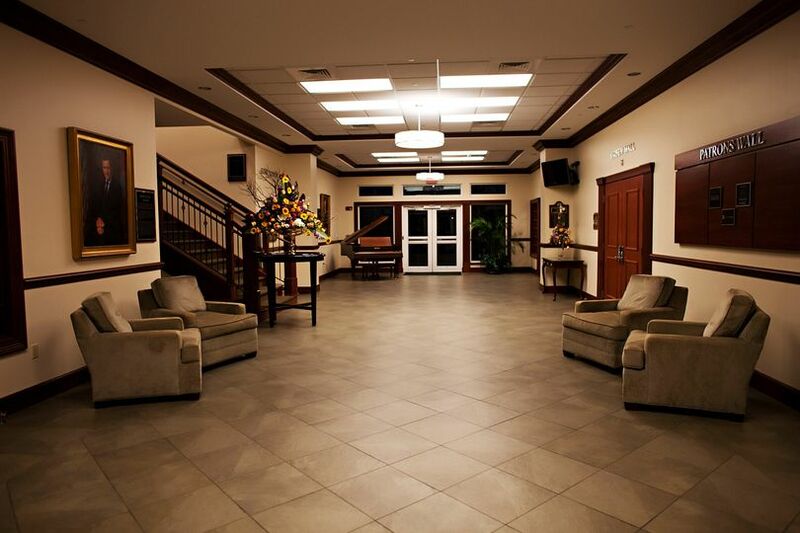 Not only is the building spacious and modern, it has remained clean and well-maintained throughout its two year history thanks to the watchful eyes of Manager, Laurie, and Maintenance Pro, Al, the center. With all of its luxurious appointments, it will remind you of a first class hotel or resort gathering space. 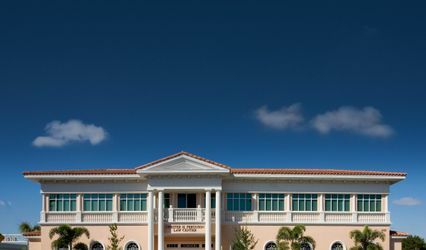 The building lies securely inside the gated Stetson complex just a minute on and off the I-275 Downtown Exit. There is plenty of parking on weekends and evenings. The open lobby offers socializing space for a cocktail hour OR a great location for a ceremony. (There&apos;s even a beautiful staircase for the bride to make a dramatic entrance from the second floor bride&apos;s suite). Smaller ceremonies may utilize the adjoining conference room. 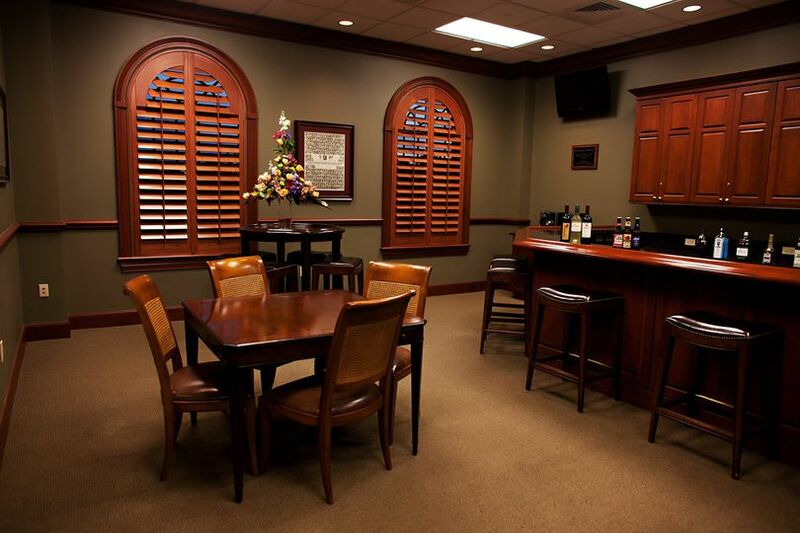 The lavish custom wood bar room will truly impress your guests. High top dark wood tables and low lighting create a trendy location for the serving of YOUR alcohol with approved bar serving (liability insurance). Your guests will think you spent a fortune on providing an open bar for them! The Cohen Ballroom can be split into two smaller rooms. 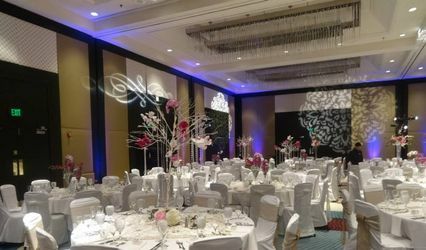 Fully carpeted and equipped with dimmer lights, the ballroom features stunning wood trimmed window treatments and enough space to seat up to 160 guests at 72" round guest tables with padded ballroom chairs. Bring your slide show or video. A state-of the-art sound and video system and THREE pull down screens throughout the room offers everyone a great view. The only extra item you may want to consider adding is a wood dance floor. A well-equipped kitchen offers heating and cooking equipment for your caterer. 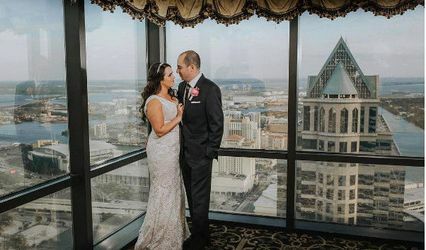 For the reasonable price, beautiful decor,generous set-up time, and excellent service, the Ferguson Law Center is well worth considering for your wedding day.